Ready-made HTML templates are a common choice of non-tech savvies who want to get their sites up and running promptly. You can avoid browser compatibility issues, problems with indexation by search engines, and coding mess. Just add your content, edit the design a little, and voila. Your web resource is ready to promote your business in the cyberspace. Whether you need to build a new site or redesign the existing one, feel free to choose an HTML template from this multipurpose selection. Here, you can find designs for any budget, business field, and aesthetic preferences. This set includes both free and premium solutions that embrace a wide range of topics, from business and real estate to fashion and art. If your niche is missing, you can search for more templates here or adapt the preferred option from this selection to your personal requirements. What makes it possible is their extensive customizability. In terms of the design, all the templates listed below comply with modern trends. Clean space, focus on content, dynamic animations, and large, impactful visuals, – these and many other things can turn your site into a memorable eye candy. Keep in mind that visual appeal is not the only thing to benefit from. With these HTML templates, you can build a user-friendly site that is easy to use via any device. Such a possibility is provided by a responsive layout, sticky navigation, back-to-top button and other functional tricks. Scroll down to check all the advantages of these templates yourself and choose the best option for your project. Let’s start with freebies. Although these templates are available at no cost, they still offer high quality. 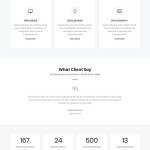 This free HTML template is intended for design agencies, architectural bureaus, art studios, and literally any other business due to its extensive customizability. It features a large hero area overlaid with social media icons, menu items and captions. These elements stay in focus thanks to a blurred image in the background. Blog integration, responsive layout, retina-ready imagery, parallax effect, – all these things will help you build a site complying with modern trends. 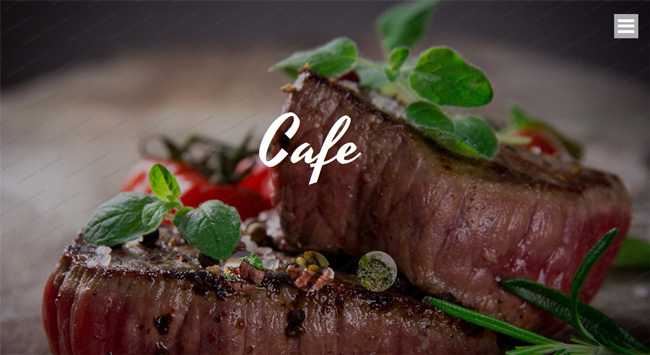 Here’s a visually rich HTML freebie meant for cafes, restaurants, and other food-related sites. Its design boasts a full-screen slider, parallax block, and masonry-style gallery with a lightbox option. 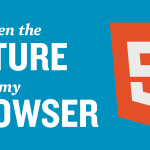 The template is optimized for mobile devices, modern-day browsers and search engines, which can let you build a future-proof site. In terms of navigation, it features a burger menu and back-to-top button. Fixed to the right upper and lower corners of the layout, these elements always stay in view while scrolling. 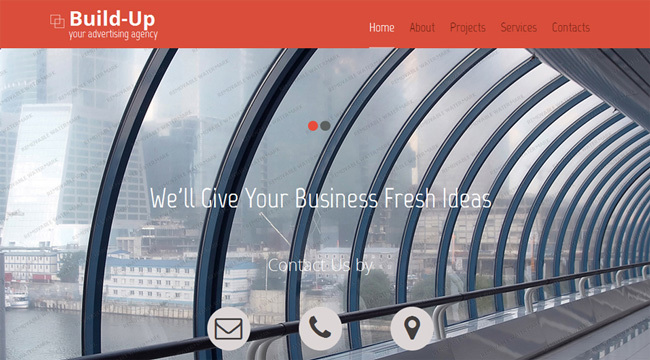 This free responsive template is an ideal solution for business and financial sites. It comes packed with a full-width slider, carousel, social icons, ghost elements, and dropdown menu fixed to the header while scrolling. 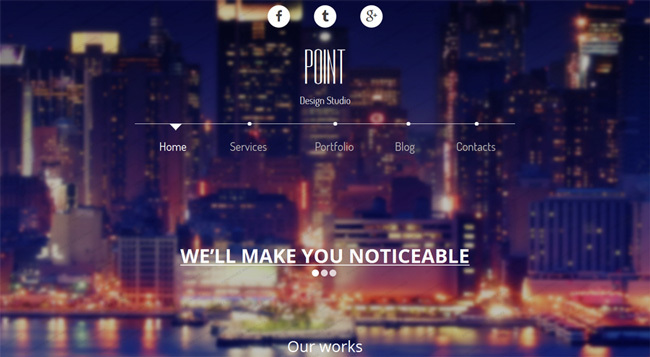 You can list your services in a parallax block adding more dynamism to the overall aesthetics. To attract maximum attention, red color accents are applied to noteworthy areas of the layout, from its header to the footer. Now, look through premium HTML templates offering high value to users. Modicate is a multipurpose HTML template powered by Bootstrap 3 and packed with 50+ pages. They embrace a wide range of purposes, particularly blog, eCommerce, services, clients, FAQs, pricing, team, coming soon, 404, and much more. Using this feature-rich design, you can experiment with multiple UI elements. For example, there are 4 gallery types such as grid with / without padding, masonry and cobbles. 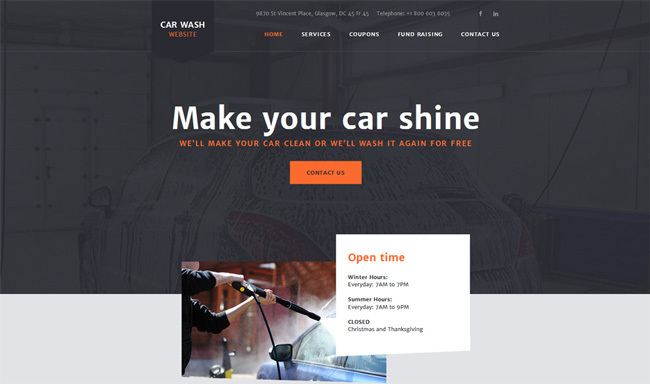 This template can help you promote any auto-related services on the web, be it car washing, tuning, racing, etc. A subdued, browser-sized image in the large intro area brings the content into focus, whereas orange elements accentuate the most important details. Social links are shown in the header and duplicated one more time in the footer. There is also a background video known as an effective instrument for storytelling and showing services in action. 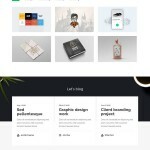 This stylish HTML template is custom-built for creative individuals such as designers, photographer and other artists. Its design makes heavy use of various geometric shapes adding zest to the overall aesthetics. They include triangle gallery images, diamond-framed icons, circular contours, and much more. 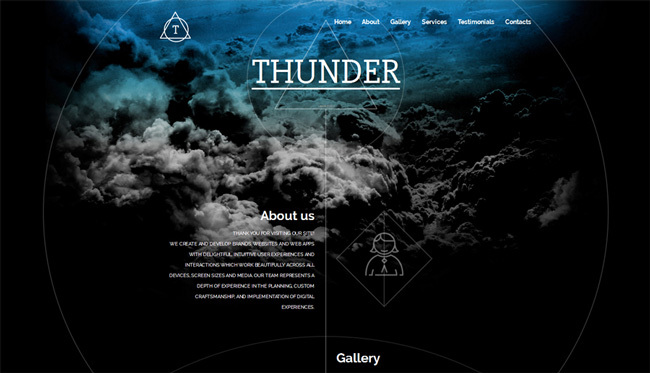 What’s also notable about this extraordinary template is its background spiced up with a dynamic lightning effect. 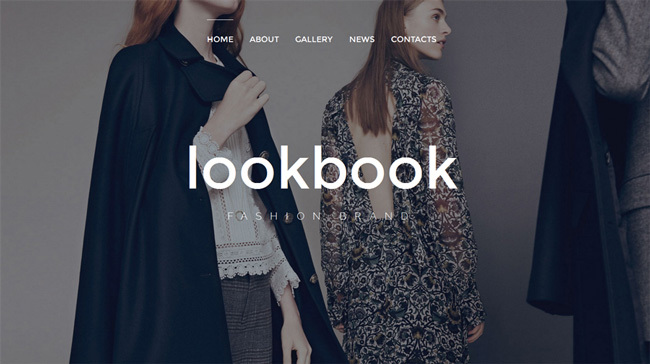 Give a try to this stylish template to build fashion and beauty sites. Its image-focused design can have a dramatic visual impact on visitors, whereas parallax and hover effects can make their onsite experience more engaging. Readable typography, sticky menu, online chat functionality and back-to-top button are essentials for improving your website usability. Packed with sliced PSD, the template’s design can easily be edited in Photoshop. Here is another multipurpose template supplied with a rich set of UI elements, CSS3 animation effects, and 50+ HTML5 pages. You can make use of 10 functional pages, 7 extras, 6 blog layouts, 6 header and 4 footer styles including parallax, transparent, minimal, light, dark, etc. 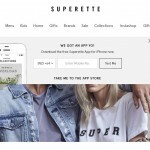 This eCommerce-ready template is also packed with 4 shop pages, namely a catalog, shopping cart, checkout, and single product page. 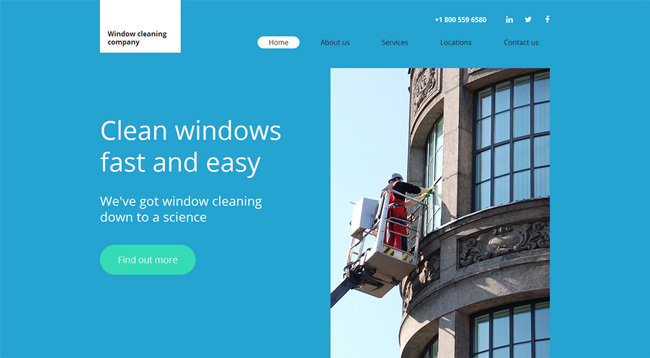 With this mobile-friendly HTML template, you can promote various maintenance services, from cleaning and plumbing to roofing and air conditioning. Its vertically split layout is meant to focus attention on two content types, e.g. imagery and text, simultaneously. In terms of coloring, this content-packed design boasts a well-balanced palette of white, blue, and green accents. Its package also includes a sticky mega menu, social media icons, Google map, back-to-top button, and many other elements. Use this well-coded HTML template to create a business site of any topic, be it banking, insurance, management, PR or anything else. Its information-packed layout allows you to provide a detailed overview of your business, e.g. services, news, team members, clients and their testimonials. By means of dynamic counters, you can also reveal some impressive numbers recorded at your company. 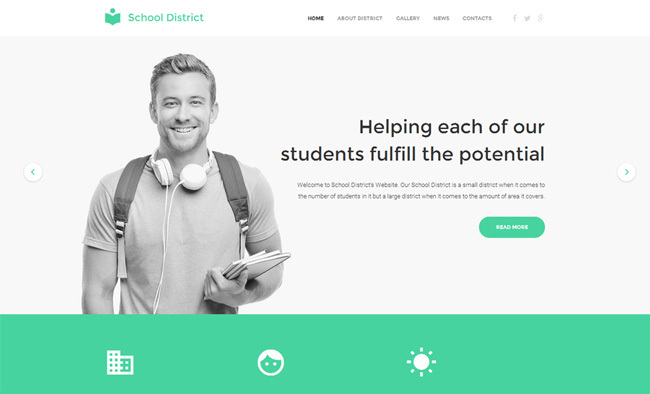 This responsive HTML template is tailored for universities, colleges, schools, private tutors, and other education-related sites. You can introduce your services with full-width images in a top slider, which will help you engage the audience visually. Accordions and toggles are used to display announcements and news compactly to keep the page cleaner. Moreover, the template boasts an eye-friendly palette combining white and green elements. 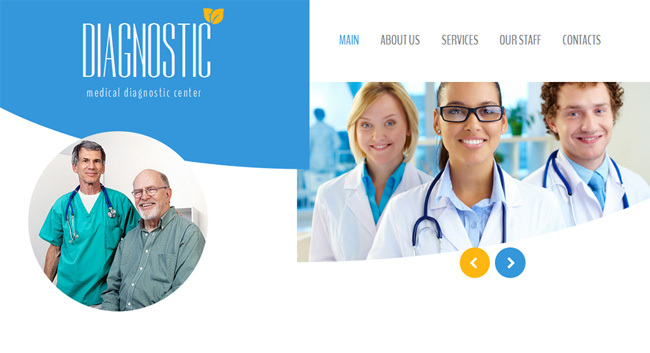 Check a modern HTML template apt for any medical site, whether it’s related to counseling, plastic surgery or dentistry. This thought-out layout boasts a skilful blend of circular, round-edged and bow-shaped UI elements. Not only do they organically fit into the overall design, but also make it feel softer. The template utilizes a parallax scrolling technique, which imparts a faux 3D effect to the interface. Its white layout with blue and yellow accents is pleasant to the eye. 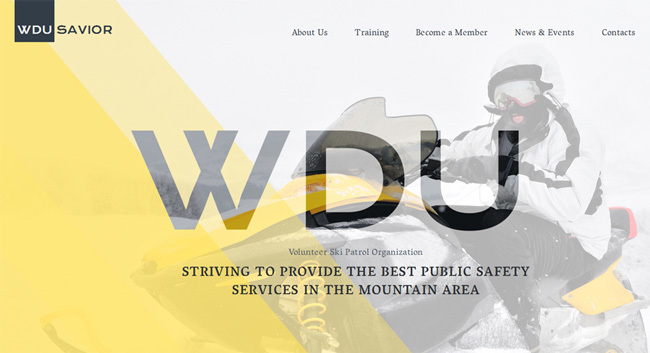 The subject area of this customizable HTML template varies from extreme sports to security. 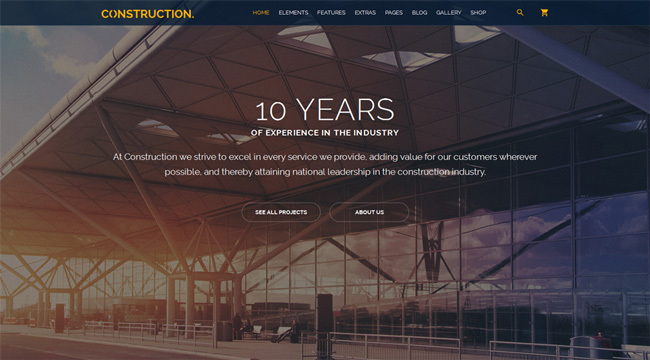 Its full-screen intro area can set the tone of your site along with a background image in the rest of the layout. Video integration allows you to communicate the goals and ideas of your company more effectively. Descriptions of your services are complemented with pixel-perfect icons that make the info easy to scan. 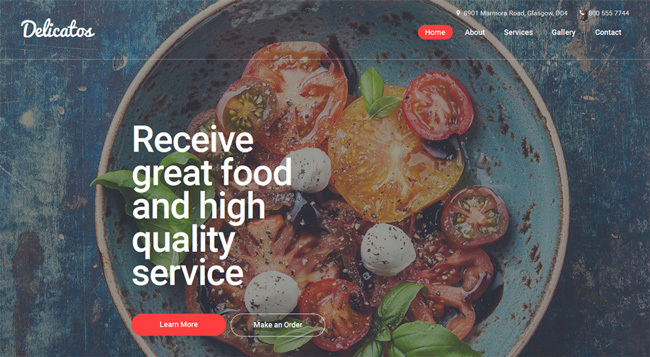 Delicatos is a responsive website template designed to promote eateries of any kind online. 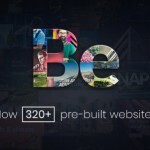 To intrigue the audience, it boasts large, mouthwatering visuals throughout the layout, from its full-screen header to the block with testimonials. There is also a tiled gallery with a filtering option, which can help visitors find the necessary dish faster. To get in touch with you, they can use either a built-in contact form or live chat. 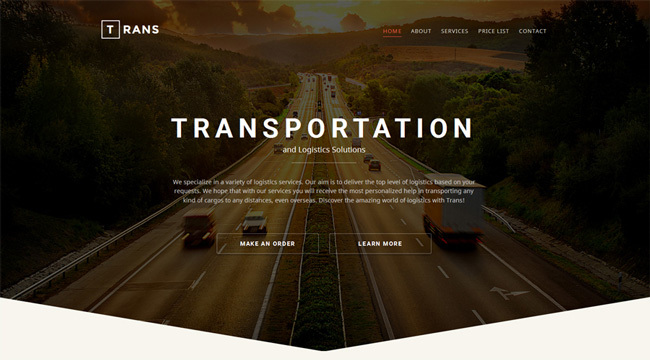 Here is an easy-to-use HTML template intended for transportation, maintenance and industrial sites. Its dynamic parallax header has transparent buttons allowing customers to make an order or dig deeper into your content. 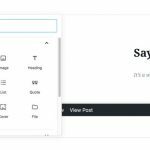 The other areas worthy of special attention include minimalist icons with hover effects, space-saving tabs, tiled post previews, and contact form. 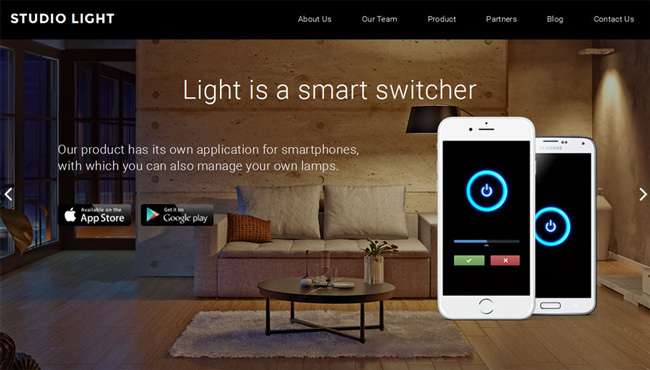 There is also a block with partners’ logo, which will help you look like a reliable and reputable company. 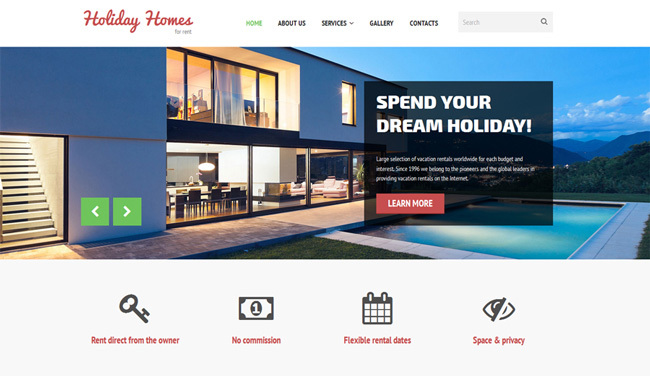 This responsive HTML template is meant for accommodation-related sites, from hotels to real estate agencies. 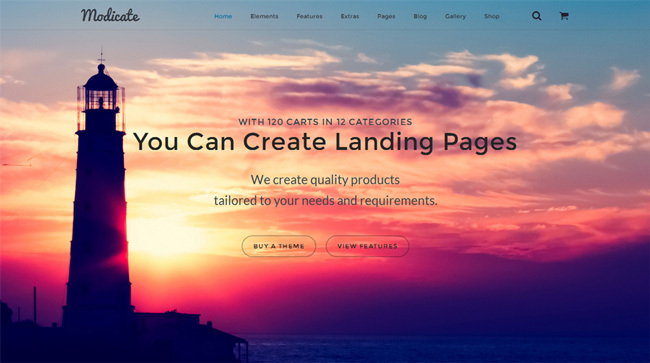 Its page-wide slider features an elegant semi-transparent banner with a caption, small portion of text and catchy CTA button. By means of a color switcher, you can adapt the template’s palette to your business style with a single click. A filterable gallery enables customers to sort available lodgings or rooms by certain criteria. 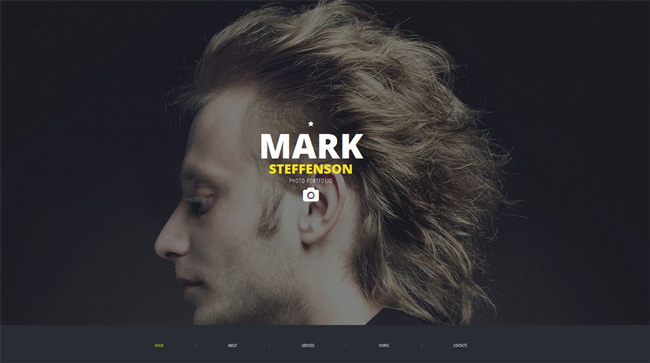 Create a professional portfolio with this visually rich template. You can introduce yourself in a full-screen header, showcase your projects in a grid gallery, and motivate visitors for subscription in a newsletter block. Yellow accents capture attention to minor yet important details such as call-to-action buttons, menu items, and social icons on hover. Valid semantic coding can optimize load times of your site and improve its SEO ratings. 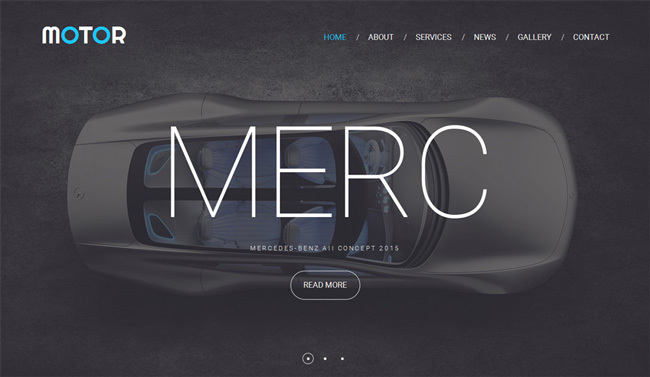 This car company template presents the content with large imagery throughout its layout, from a header slideshow to previews of the latest news. There is also a modern gallery designed in the mosaic style and supplied with a filtering option. The template has a lot of minor details that serve different purposes. For example, counters unveil the number of followers in social networks, whereas ghost buttons complement the minimalist aesthetics of this design. 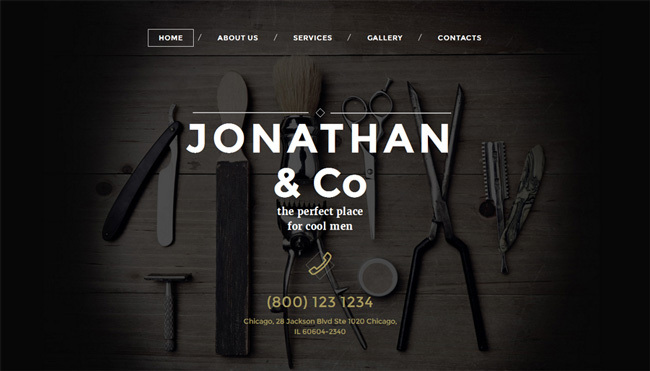 Using this mobile-friendly HTML template, you can build a presence for your hair salon online. Its design comes with blocks meant to display your prices, gift certificates, team members with their working hours and customers’ testimonials in a carousel. As proof of their words, you can complement each testimonial with the photo of its author’s hairstyle. The dark parallax header stays in contrast with the rest of the light layout flavored with beige accents. This template will come in handy for advertising software, hardware, and electronics on the web. 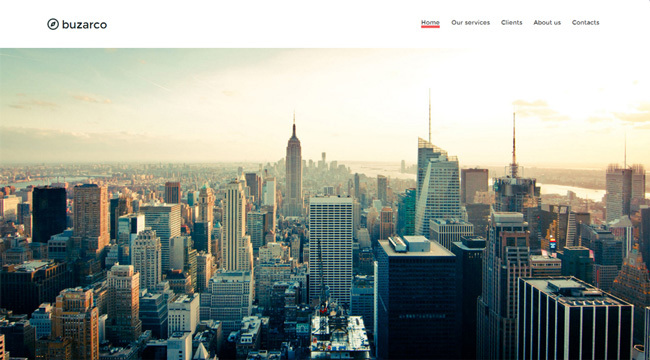 To illustrate your services, it features a full-width slider, where you can add both images and videos. 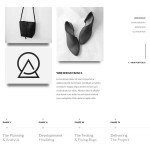 There is also a carousel of products followed by a timeline block revealing the progress of your company. What’s more, the template offers a toolkit allowing you to interact with customers. It includes a live chat, contact form, and Google map. Here we are. We hope you could find the right HTML design for your site here. Now, it’s your turn to speak up. Was this multipurpose selection helpful for you? 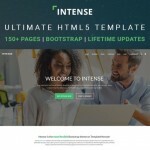 Which one of these free and premium HTML templates caught your fancy? Share your impression with us in the section of comments, please. AUTHOR’S BIO: Nick Campbell, the author of this article, is fond of writing posts on various subjects, particularly web design, e-commerce, social media, marketing, business, and education. He has been involved in the content creation sphere for more than three years. Nick is primarily focused on covering modern trends in a specific industry to help his readers keep abreast of the latest news. If you don’t want to miss any brand new developments in the aforementioned topics, follow Nick Campbell on Twitter and Google+!